In a year full of accomplishments, Durango’s Christopher Blevins added another Sunday. 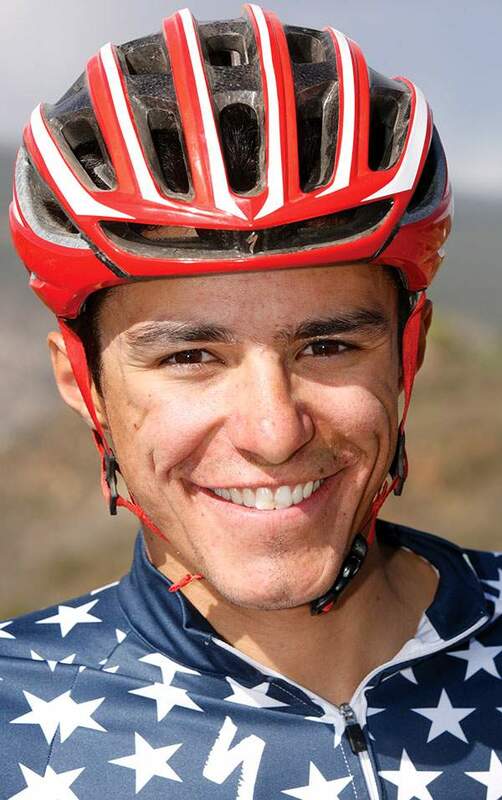 The 20-year-old professional cyclist finished second Sunday in the men’s udner-23 cross-country mountain bike race at the International Cycling Union (UCI) World Cup stop at Mont-Sainte-Anne, Canada. Blevins was in a good battle much of the day with South Africa’s Alan Hatherly, 22. Hatherly went on to win in a time of 1 hour, 17 minutes, 44 seconds. Blevins finished in 1:18:12. Mexico’s Jose Gerardo Ulloa Arevalo was third in 1:19:02. “Pretty ecstatic about this one,” Blevins said in a post to Instagram. Blevins earned 70 UCI points with the win. Every point acquired over the next two years will be key to the U.S. trying to get two mountain bikers on the 2020 Olympic team for Tokyo. In the same race, Fort Lewis College cyclist Cole Paton placed 15th and earned 12 UCI points. The 21-year-old finished in 1:22:48. Durango’s Daniel Johnson also raced and placed 40th. Last month, Blevins finished fifth at the World Cup race in Val di Sole, Italy, his previous best finish. Blevins is on the Hagens Berman Axeon roster for the upcoming Colorado Classic road stage race. The Colorado Classic will run Aug. 16-19 with stages in Denver and Vail.